Whether you are setting up your computer speakers or a complex home theater bundle, understanding the art and science of speaker channels and placement is the most critical step in enjoying your new sound system. 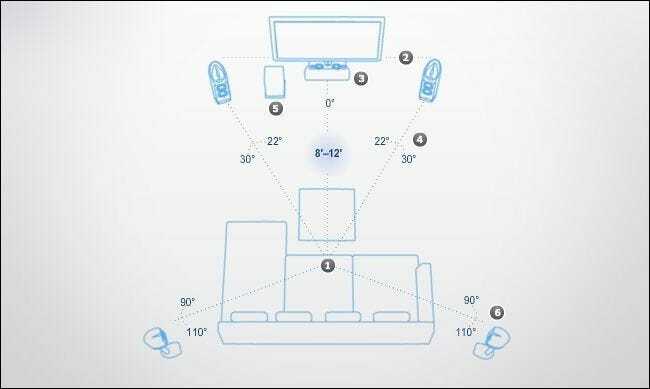 Read on as we guide you through a crash course in surround sound setup. The other day a friend of ours was showing us his new HDTV setup and new speakers. While he had researched his HDTV purchase tirelessly, he hadn’t put much thought into the speaker setup. When it came time to set up the speakers he had purchased to go with the TV he simply plugged them in and set them all on the shelf under his new TV. The only way for that setup to be less optimal would be if the speakers were inside a nearby closet. There is an enormous amount of energy invested in giving you a great home theater and listening experience. Everyone from speaker designers to audio engineers to foley grips—the people who add sound effects into movies—have all contributed to recreating realistic and enjoyable sound in your home. In order to take advantage of all that energy invested in producing awesome soundtracks and movie scores, however, you have to invest a little energy of your own. Don’t worry, we have already done the research for you. Simply follow along as we explain what each speaker does and where you want to place it. To start our speaker placement journey, let’s first start out with the most familiar audio setup around—simple stereo sound. When you’re listening to your iPod with a pair of headphones, watching television on a set with no attached theater or speaker system, or listening to the radio, you’re experiencing audio in stereo. 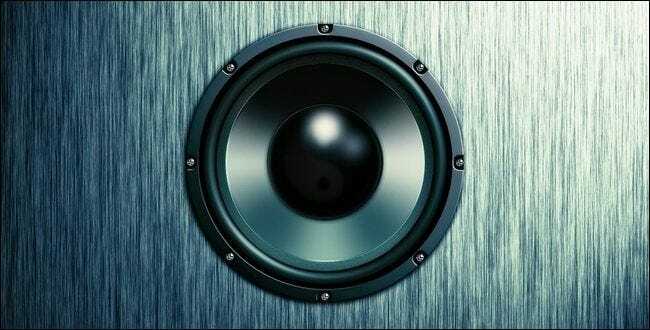 Stereo audio is simply two channels of audio, one for the left speaker and one for the right speaker. It’s the most minimal setup required to provide the illusion of sound directionality and perspective for the listener. In surround sound notation, this simple two channel setup is referred to as a 2.0 system (or, 2 channels with no subwoofer). Adding in a subwoofer changed the notation to 2.1—the .1 represents the subwoofer and the accompanying Low Frequency Effects channel that powers it. More complex audio systems build on the 2.1 system and add additional channels to create a 360-degree envelope of sound around the listener. Unlike simple 2 channel systems that are usually driven by hardware on the main device (such as the portable music player or television set), multi-channel surround sound systems generally require a separate component known as an receiver to amplify and distribute the audio signals from the source (like the Blu-ray player or cable box) to the speakers. Current consumer audio receivers support anywhere between 5.1 to 11.2 channels of audio (five speakers with one subwoofer and eleven speakers with two subwoofers, respectively). Let’s get started with your speaker setup. We will begin with a simple 2.1 setup and move to a 7.1 setup. The tips and tricks for each setup section will build on the advice from the previous one so we strongly suggest reading straight through. How Do I Configure Optimum Stereo (2.1) Sound? Now that we’ve got a little terminology under out belts, let’s take a look at how we can best configure the most common speaker setups, starting with a 2.1 channel system. 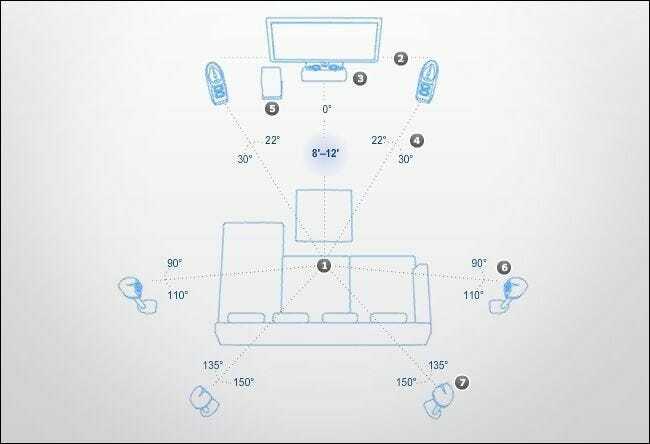 Speaker layout diagrams courtesy of the Dolby Surround Sound Speaker Placement Tool. Placing the Subwoofer: First, let’s place the subwoofer (4 in the diagram above) as it’s the simplest speaker to place. The low-frequency sound generated by the subwoofer is omnidirectional and as such you can place the subwoofer just about anywhere you want that’s convenient within the room and easy to link to the receiver. The only caution to observe in placing the subwoofer is to avoid placing it directly into a corner or inside any sort of recessed cabinetry or architectural detail. Placing the subwoofer very close to walls and in semi-enclosed spaces changes the speaker from an omnidirectional one to a more directional one and usually results in the subwoofer sounding overpoweringly loud and boomy compared to its companion speakers. If you cannot avoid such placement we strongly suggest dialing down your subwoofer (either at the physical speaker if possible or via your receiver’s interface) to compensate. Placing the 2 channels: In a 2.1 channel setup all audio (save for the low frequency effects generated by the subwoofer) will be produced by the left and right channels. All the sound effects, music, and dialogue from the speakers will be broadcast into the room towards you from the front. The two primary channel speakers, left and right, should be placed roughly 3-4 feet off the center of the viewing screen (feel free to shrink these offsets if you have a particularly large screen to contend with) and at roughly ear height with the listener. Keep in mind that ear height for the listener is dependent on their height when seated—around 3.5-4 feet for most situations. You don’t need the speakers to be adjusted in height precisely for the height of the listener but they should be within 6-8 inches—any higher or lower and you will get the unsettling sense that the actors you see on the screen are throwing their voices from a higher or lower location. In addition to positioning the speakers off to the sides of the screen and at listening height to the viewer, you want to angle the speakers inwards towards the listener (known as toe-in, as opposed to facing them toe-out or straight ahead). The ideal angle for your toe-in speakers is between 22-30 degrees. Place your speakers accordingly to create this cone-of-sound directed towards the center of the listening area (e.g. the middle seat in your couch). A note on precision: It’s important to note that we’ are aiming for optimum home theater sound (within reason), not getting our sound system certified for an IMAX Theater. While the Internet is filled with audiophile and home theater discussion boards teeming with people obsessed with angle increments, half-inch adjustments in speaker height, and other minute details of speaker setup we firmly ascribe to belief that if it falls within the general specs the audio engineers assume a home theater will have and it sounds good to our ear then it’s good enough. Just moving your speakers to the proper position and recommended arc off the viewer will radically increase the quality of your experience. 5.1 channel sound is widely regarded as the absolute minimum speaker setup required to create immersive surround sound. The 5.1 channel setup builds on the arrangement of the 2.1 setup but adds in a center channel and a left and right surround sound channel. In order to configure a 5.1 setup, first start by placing the subwoofer and the left and right front channels (the 2 channels from the 2.1 setup outlined above). Once you have placed and angled the left and right front channel, it’s time to add in the center and surround channels. Placing the center channel: In the 2.1 setup, the left and right front speakers are responsible for delivery of all the music, dialogue, and sound effects. In the 5.1 setup the sound delivery is spread around to the additional speakers. The center channel’s most important role is that of dialogue delivery. Since the actors are generally in frame and roughly around the center of the screen the new center channel is perfect for delivering their dialog so that the speaking sounds as if it is coming directly from the actor on screen. The center channel should be placed dead center to the main viewing seat and should be toe-out (no angle to either the left or right). The center channel should be as close to ear height as your setup allows and can be placed either above or below the screen. If you cannot place the speaker as close to the bottom or top of the screen as you would like, you can angle the speaker up or down slightly to direct the sound more towards the listener’s head. Placing the left and right surround sound channels: Just like the addition of the center channel offloads some of the work from the original left and right channels of the 2.1 setup, the addition of the left and right surround sound channels also spreads out the load. The surround sound channels are responsible for environmental and ambient sounds. If you are watching a concert recording, for example, the cheers and whistles of the audience would be delivered over these channels—creating the auditory illusion that you’re setting in the front row of the concert. In order to place the left and right surround sound channels for maximum impact, you want them positioned at roughly 90-110 degrees relative to your listening position—in other words, right beside each of your ears or slightly behind them by 10-20 degrees. In addition you want to place them slightly above the head of the viewer. If you have to compromise on the placement of the speakers because of the shape of the room or location of furniture within it, it’s better to position the surround sound channels further back and higher rather than forward and lower (it’s disorienting to have ambient background noise sound as if it is coming from in front of you instead of from the sides and background where it belongs). If a 5.1 channel system is the absolute minimum for surround sound, 7.1. channels is definitely the return-on-investment sweet spot for consumer home theater setups. While there are currently more 5.1 channel DVD and Blu-ray discs released than discrete 7.1 channels discs, more and more releases are coming out with 7.1. sound and most receivers will intelligently split the surround channels on a 5.1 mastered media source between the two additional surround sound channels in the 7.1 setup for an even more immersive experience. 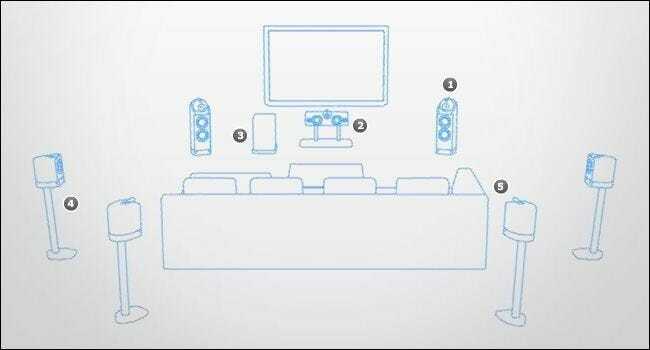 To setup a 7.1 system you will first place the subwoofer, front left, right, and center channels, and the two surround sound channels (labeled 4 in the diagram below). In addition to those five channels and woofer you now have two more channels: the left and right back speakers (labeled 5). Placing the left and right back speakers: The 7.1 setup adds even more auditory realism to your home theater experience via the addition of two more surround sound channels. These channels should be placed roughly 135-150 degrees behind the viewer and just above head level. Again, if you have to compromise with the placement of the back speakers we recommend you move them further back, closer together, and/or higher. Doing so will affect the sound quality and envelope of sound you are striving to create less than if you moved them forward/further apart (and thus risked rear-placed sounds seeming out of place and other sounds just blending in with the left and right surround channels) or lower (ambient noise emanating from near the ground can be disorienting to the listener and would end up partially blocked by furniture). Simply placing your speakers within the rough guidelines put forth here will ensure you are getting a better sound experience than most (we’re looking at you, guy-with-all-7-channels-balanced-on-the-TV set). To take things a step further and consider the following free or nearly-free tips and tricks. Automatic Calibration: Most of us have our home theaters in our living rooms or other multipurpose rooms—in other words, less than acoustically idea settings. While it’s possible to sit and fine tune the output of each individual speaker using only a well-trained ear and a good chunk of time, we prefer to do things the easy (and generally more accurate way). Check the documentation that came with your receiver to see if your receive supports microphone-enhanced optimization. While each company calls their system something different—Yamaha calls their system YPAO, or Yamaha Parametric room Acoustic Optimizer, seen above—the general premise of the systems is that a small microphone is hooked up to the receiver, placed where the listener’s head would be during routine use, and then a series of tones and signals are sent over the speakers to test for things like echo, muddy sound, and other artifacts. The receiver then dynamically adjusts the speakers for these problems to produce a more balanced listening experience. Although many automatic calibration systems allow you to take anywhere from 2-10 additional measurements from the additional seats located in the listening area, we recommend against measuring very far outside the center of the listening area—measurements on the fringe of of a large seating area or along the walls can lead to distorted results, lower-than-necessary speaker output, and diminished subwoofer response. Adjust the Center Channel: Although we’re big fans of using the manufacturer’s automatic calibration, if you find yourself turning the volume up really loud during movies to hear the dialogue—and then getting blasted when the action scene come—it’s time to adjust your center channel. At the receiver, increase the the output to the center channel until dialogue is clear and bright even at the lower general volume setting—then when the rocket and hand grenades go off you won’t have to duck and cover. Upgrade Your Speaker Wire: This absolutely does not mean going out and buying some coated-with-Unicorn-blood $50 a foot wire. What this does mean is that if you’re using the super cheap noodle-thin wire that came with your equipment you’d be well served to upgrade to some thicker wire. You can order 100 feet of 16-gauge speaker wire for ten bucks. Demo Clips/Discs: Although just about every receiver under the sun will have a built-in tone test, that’s not exactly a fun demonstration of surround sound capabilities. Sure you can calibrate your speakers with it, but you didn’t go to all the work of setting up a home theater system to listen to some beeps and boops. For more of a wow-factor you want to check out surround sound demos included with many movies—here’s a list of all 300+ THX-certified movies that include a THX surround sound test/demo. Alternatively you can grab individual demo trailers courtesy of Demo-World. Master and Commander–Chapter 4–High seas battles, cannon fire, creaking ships, crashing waves: there’s a reason this film is one of the most frequently used home theater demo movies. The audio quality is stellar and the surround sound application is over the top. The Matrix—Chapter 31—the whole of the Matrix is a treat but the Morpheus-rescue-scene towards the end of the movie is packed with surround sound goodness. U-571—Chapter 15—This submarine warfare movie is rich with sound effects and home theater enthusiasts have been using it since its DVD release in 2000. The Dark Knight—Chapter 20—Batman movies are full of sound effects and the high-speed chase through Gotham City is Chapter 20 is no exception. 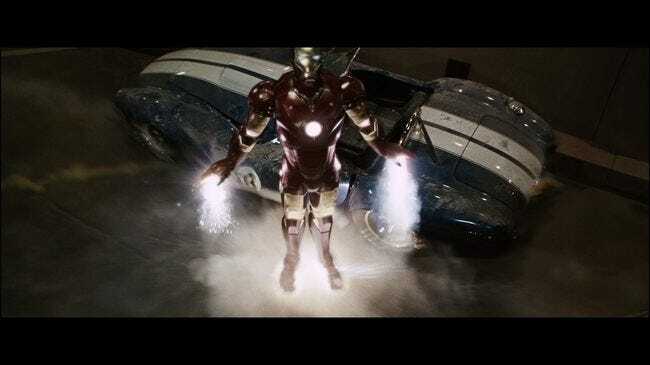 Iron Man—Chapter 10—The entire Iron Man film is packed with speaker-blasting effects, but the desert battle halfway through the movie is a feast of surround sound nuances. Armed with the knowledge of proper speaker layout, you can easily adjust and upgrade your listening experience in under an hour or two. 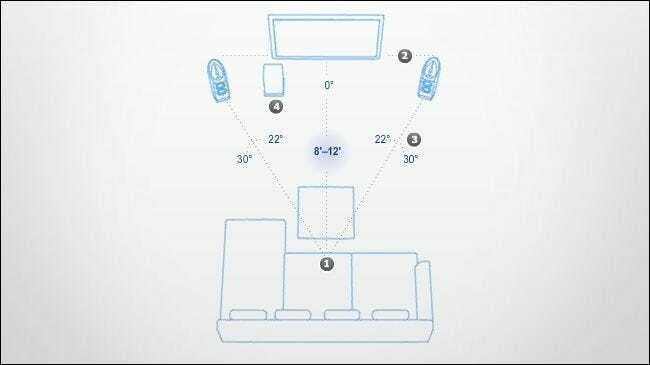 Have a home theater tip or trick to add to the conversation? Sound off in the comments below.